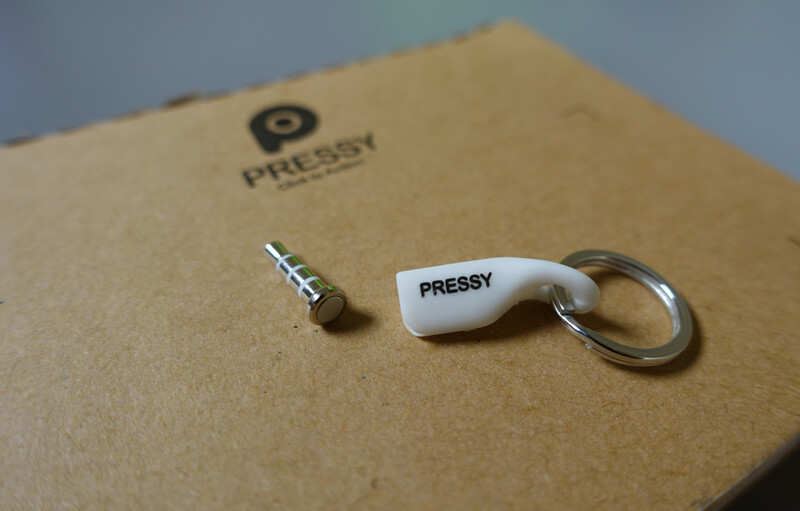 Pressy, the Kickstarter funded project that brought instant actions to your phone via headphone jack button, is finally arriving to backers after months of delays. The idea at introduction sounded interesting, so we went ahead and grabbed a couple, not knowing that Xiaomi and others would copy it and sell it cheaper before Pressy could get theirs off the manufacturing floor. But in the end, it is here and we want to take it for a spin. Well, we at least want to show those of you who backed it that it is real, is shipping, and actually works. For those new to the concept, you are basically looking at a button that plugs into your headphone jack which can be programmed to launch actions on your phone. A single click could toggle WiFi, a double click could open Instagram, or a long press followed by a short press could open the camera. The possibilities are somewhat endless, though Pressy seems have limited functionality for now. Actions can be set to activate with the screen on or off, to call direct contacts, send canned text messages, or even turn on the flashlight on your phone. Make sense? In the video below, you will see all of that and more in action. Anyone else receive their Pressy? General thoughts? Note: Many readers in the comments are weighing in with their thoughts after having used it for a while. If you are at all interested in Pressy, I highly recommend you jump in there and read what they have to say. Some major drawbacks are laid out. NVIDIA SHIELD Tablet Spotted in Global Certification, Could This be the "Mocha" Tablet?